A little rookie is coming soon, so it's time to celebrate! This baseball shower was a perfect way to celebrate my sister and my soon to be nephew! You may remember that I through my middle sister a bridal shower brunch last fall. Well, guess what?! 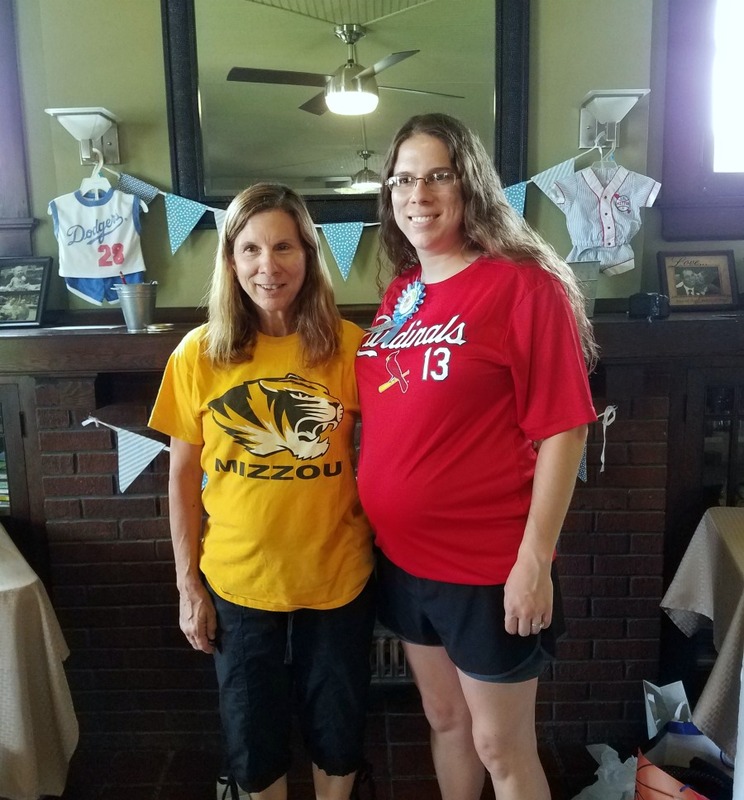 I just had the chance to throw her a baby shower as well! I think she liked the last shower so much that she couldn't wait to have an excuse for another one! I kid, I kid. But really, I am going to be an aunt in a couple of months, so we wanted to make sure that the baby has everything he needs. 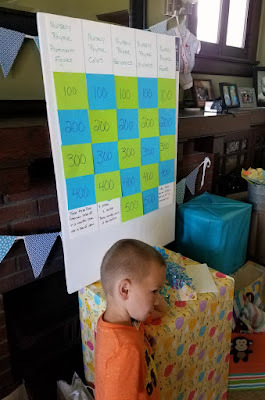 Of course within a few minutes of her announcing she was pregnant, I went into party planning mode. 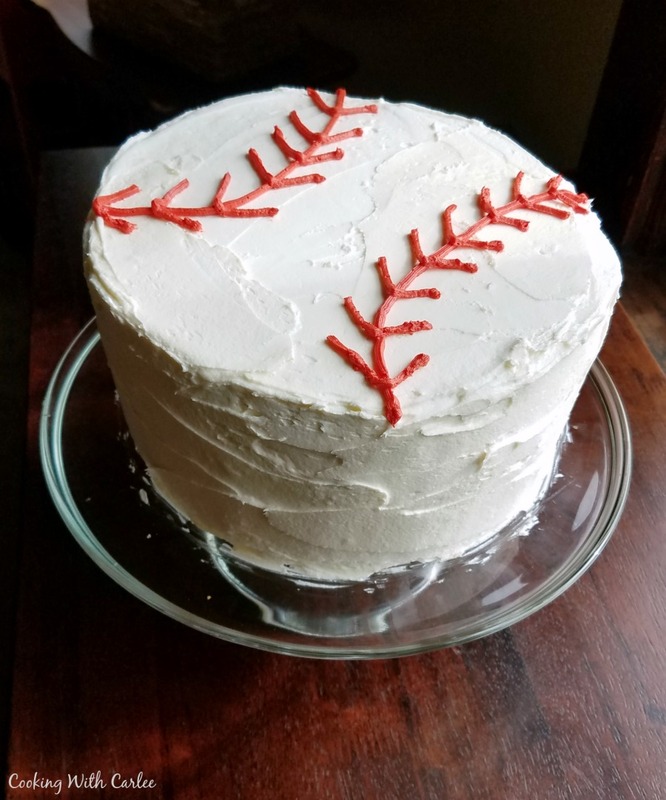 Since my sister's mother-in-law lives quite a few hours of drive time away, we wanted to make sure it would be on a weekend she could attend. So we all got out our calendars and picked a weekend that we were all available. Secretly I had visions of tutus and pink frills dancing in my head, but those were quickly dashed when we found out she was having a little boy. MiMi offered to host with me and she suggested we do a baseball shower. That would be perfect! 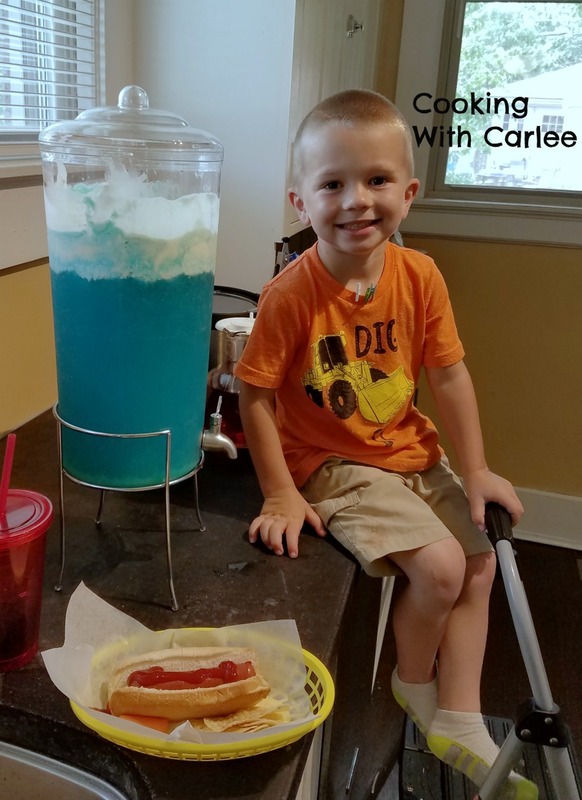 She has a popcorn maker and I have a hot dog roller, so we were halfway to a party already! I'll spare you all of the planning details and skip to a few pictures. We had a great time putting it all together and getting a chance to see everyone again. We hope my sister enjoyed her special day as much as we did and we can't wait to meet the little guy! At first little man wasn't going to stay for the party. He and daddy were going to go do guy stuff. But it turns out he didn't trust us women-folk to run the popcorn machine or serve ourselves punch. So he stuck around to keep an eye on us and make sure things ran properly. Which is good because he made an excellent Vanna White for Jeopardy. (I know she wasn't on Jeopardy. Don't worry I am a child of the 80s and I know this stuff!) I really thought the game was fun, but our guests were too smart. They didn't get a single one wrong. So in the end, the game was decided by the game of rock, paper, scissors to decide who went first! Next time we'll have to dig deeper for questions! MiMi put together the cutest prizes for the games. 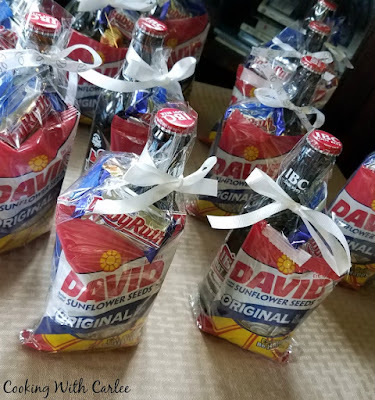 They have bottles of root beer, peanuts, candy and sunflower seeds in them. I just love it when everything ties to the them! We had the hot dog roller going, nachos, veggies and fruit too, but I didn't get many pictures of that. I did, however, get plenty of pictures of the sweets! 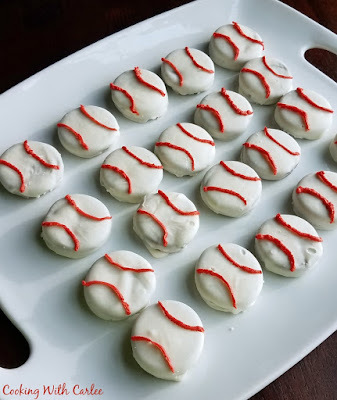 Baseball white chocolate covered Oreos. 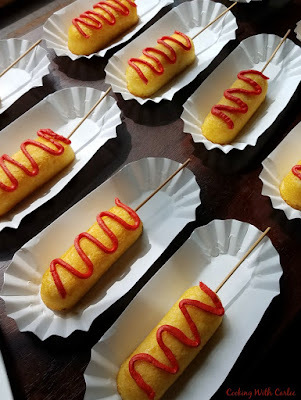 Twinkies mascarading as corn dogs with ketchup. Speaking of which, this is an ongoing discussion. Is it acceptable to put ketchup on hot dogs? What about corn dogs?! The cookies and cream cake with white chocolate buttercream, because you need a cake at a shower! And each of our guests had a bag of homemade caramel corn to take home with them. We had so much showering my sister with love! Then my dad and brothers came over that night to help eat the leftovers and play some wiffle ball with little dude. It was a pretty nice way to spend the day! I enjoyed reading about this special party even though I was there! It was so much fun. Did you forget to mention that we threw in fruit salad and veggies? We did make sure to throw in something that wasn't junk food. So amazing. 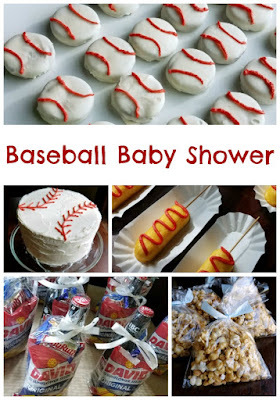 I love all the details right down to the take me out to the ballgame prizes!! Little man did an excellent job playing Vanna!!! 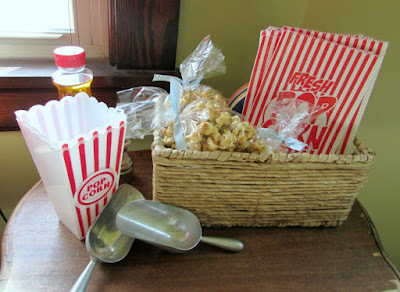 What a great theme for a shower and so well done! 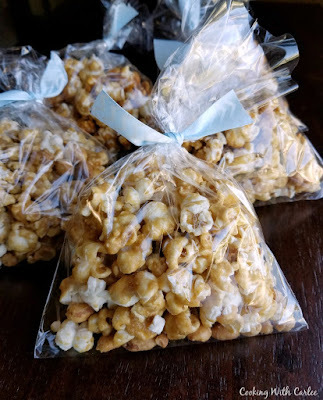 That caramel corn came in as the perfect seed treat party favor!!! Thank you so much, Andrea! 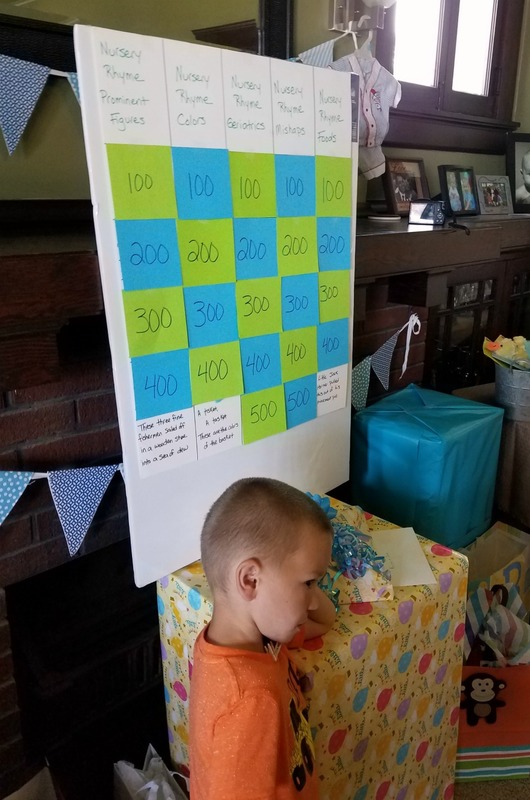 We have a good time throwing parties and little dude definitely enjoys being right in the mix... once he warms up to the strange faces, anyway! Thank you so much, Deepika! 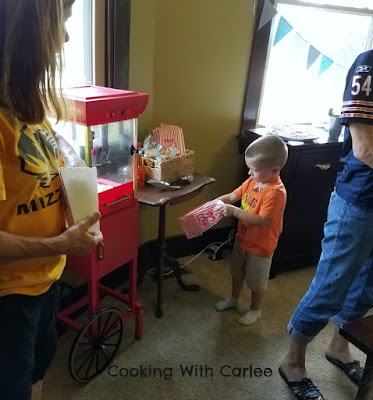 We have a lot of fun putting together these little parties! This shower looks like you had so much fun. This reminds me of my brother who has 4 boys who all played sports and he coached them as much as he could. Now one of his sons has 2 boys and they will be playing sports too. This would be the perfect birthday party for one of his sons. (Or maybe a baby shower if they have another boy sometime). It would make for a fun birthday party too! We really had a good time putting it together. Luckily most everything is really easy! Congratulations auntie!! Now little man will have someone to hang out with him. He must be like his mom and love to enjoy good food, good fun and good company! Ha! Right now I think he is more worried about sharing the spotlight than looking forward to a buddy, but I think that will change as they get older! He does love a good party! You are such an amazing party planner!! So creative!